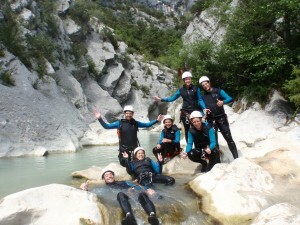 De Riolan is of reference canyoning in Southern France. 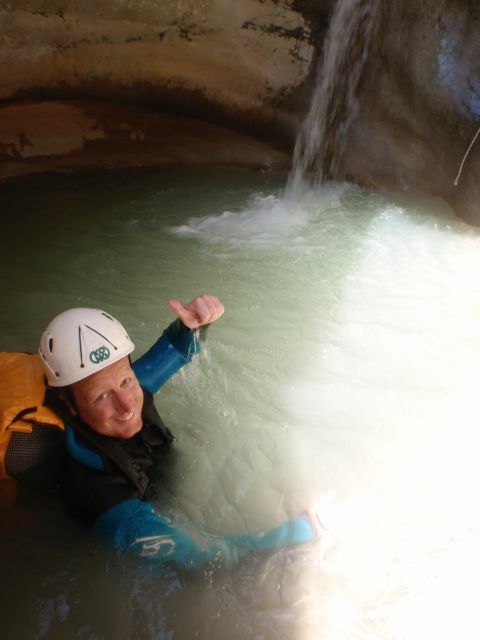 Anyone who loves canyoning did this one once or several times. Abseils, slides and plenty of jumps, the Riolan has it all! 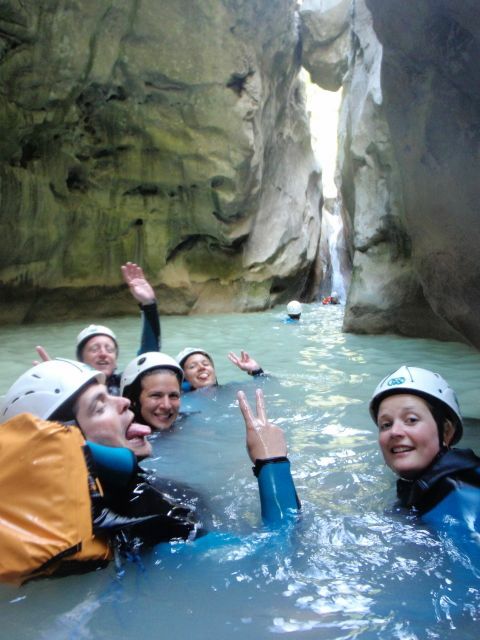 This canyon is always well stocked with water and we can enjoy a lot of swimming. With calm water in the summer is this canyon for many accessible. If you can swim well and have a reasonable level of fitness is not a problem Riolan. Expensive: 5 uur canyoningen. Low start-up and you do not have to walk back. Preferences: Be on one's game, swim and 2 to 3 meter jump. Materials to bring with you: Sneakers (no sandals or surf shoes), packed lunch and water, swimwear + towel. What does a day in the Riolan out? 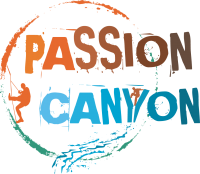 The collection point for the canyon is the parking lot at the end (at the bottom) van de canyon. Here we share the material and prepare the cars that drive us up. We have a car with all the dry stuff everyone parked at the bottom are. We drive about 6 km for the cars we park up. 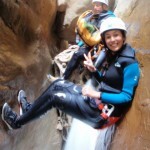 With 5 descend minutes we are at the foot of this beautiful canyon. Then it is about 20 minute walk through the forest and the water before we attract our equipment and the canyon really begins. The canyon begins equally spectacular and we have jumped to 9 meter in the prospect. 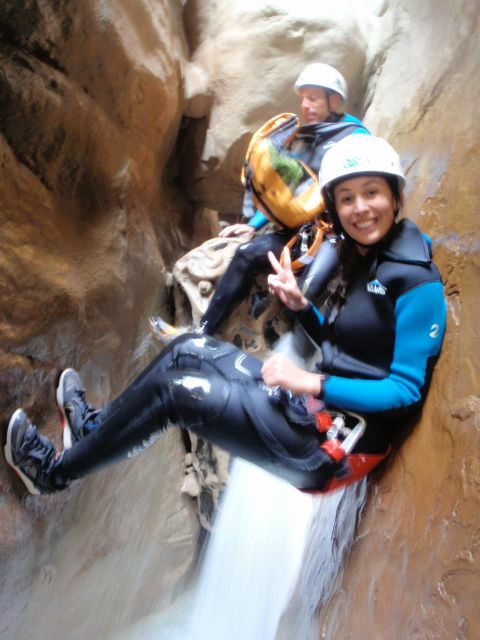 Abseils tot 15 meters high and several slides. All this in a fantastic setting and turquoise water. From the village Sigale, take the road towards Roquestéron (It is the D17). Turn right into a hairpin turn to the left towards the Aiglun (D10). After a few kilometers you will pass a bridge with a sign “Riolan”. Here is the parking for the collection.